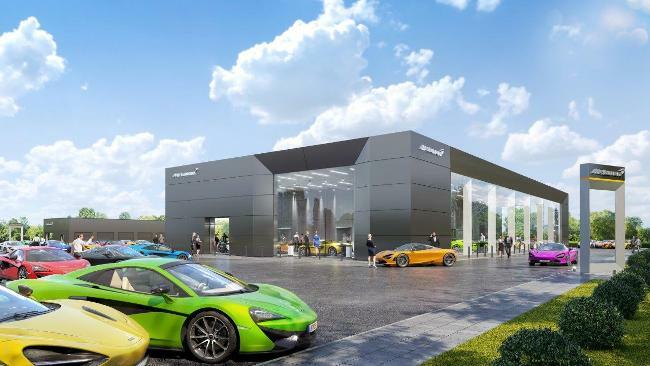 APP Construction has secured the contract to build the second phase of Yorkshire’s only McLaren supercar showroom in Leeds. McLaren Leeds is currently operated by Park’s Motor Group from a temporary site at Gateway 45 Leeds. On December 3, APP Construction will commence work on the first venture in Yorkshire for the car retailer, which has grown its business from its origins in Scotland. The purpose-built 12,000 square feet state-of-the-art showroom is due for completion in summer 2019. The new showroom, workshop and valeting bays designed by architect Nimmo & Partners, will be easily accessed via one of the main arterial roads into Leeds, at junction 45 of the M1. This is a second McLaren business for Park’s Motor Group who opened their first in Glasgow in 2014 and achieved the accolade of McLaren global retailer of the year in both 2015 and 2016. McLaren Leeds joins the existing network of facilities in Ascot, Birmingham, Bristol, Glasgow, Hatfield, London and Manchester. John White of APP Construction said: “We have a fantastic track record in the automotive sector working with marques, including Jaguar Land Rover, for some of the country’s top retailers.